Ancestry: Charles Wilson Ward, Jr.
Father: Charles Wilson Ward, Jr.
Died: October 9, 1951 in Bourne Ma. 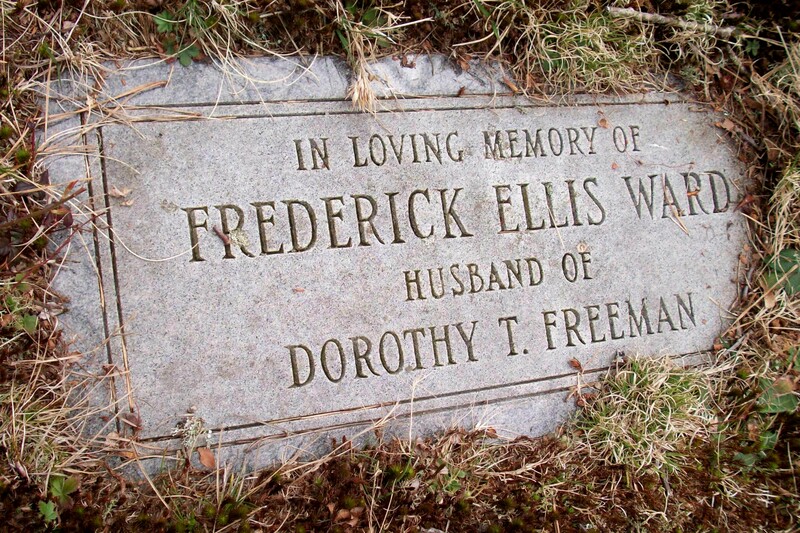 at 76 yrs, 6 mos, 6 d.
To: Dorothy Thatcher Freeman, twin; (1900 – 2001) (Elias Grimes Freeman & Grace Isabel Handy); Dorothy married (2) John P. Sylvia, Jr.
1. 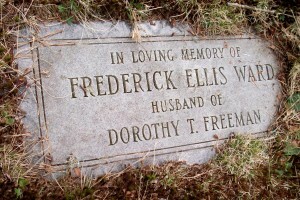 Frederick Ellis Ward, Jr.; (September 15, 1924 – ? ); Married Ruth Gilpatric Keene in Bourne Ma. on November 27, 1949.